Encourage and promote the activities of libraries, archives and documentation centers related to music and musical materials, strengthen cooperation between institutions and individuals working in these areas and publish information about their work. Promote understanding of the cultural importance of music libraries, archives and documentation centers, both nationally and internationally. Support and facilitate the realization of projects in musical bibliography, musical documentation and musical librarianship both nationally and internationally. Promote the availability of all publications and documents related to music, especially to encourage exchange and international lending. Encourage and support the development of standards in all areas of interest to the association. Promote the availability of adequate vocational education and training. Promote the bibliographic control of musical materials of all kinds. Support the protection and preservation of musical documents of all periods. Cooperate with other organizations in the areas of librarianship, archival, information science, music and musicology. Organize an annual international congress of its members. Publish a journal - Fontis Artis Musicae - that deals with matters of professional interest. Founded in October 2009, the Brazilian Section of IAML is in a consolidation phase and seeks the accession of institutions and professionals to constitute a permanent forum to discuss the issues inherent to the work in the area of libraries and music archives located in the country. The recent accessions of the National Library Foundation and the Villa-Lobos Museum reinforce the association's activities at the national level. The recent publication by CONARQ of the "Guidelines for the management of musicographic documents" is another issue that demands reflection at the national level. 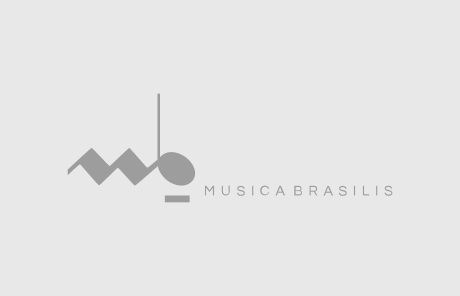 The Board for the biennium 2019-2020 is available and invites the institutions and professionals to join IAML-Brazil, understanding that it is an opportunity to enhance the national and international diffusion of one of our greatest assets: Brazilian music .